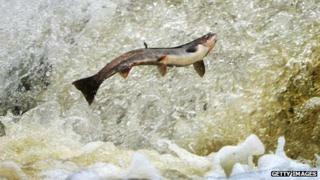 The Scottish Salmon Producers' Organisation (SSPO) and St Andrews have now clashed over the results. Prof Phil Thomas, chairman of SSPO, accused the university of making "a major blunder". It added: "The central, unequivocal finding of this research paper, as presented in our press release, is that parasites such as sea lice are responsible for an average of 39% of all salmon deaths at sea."